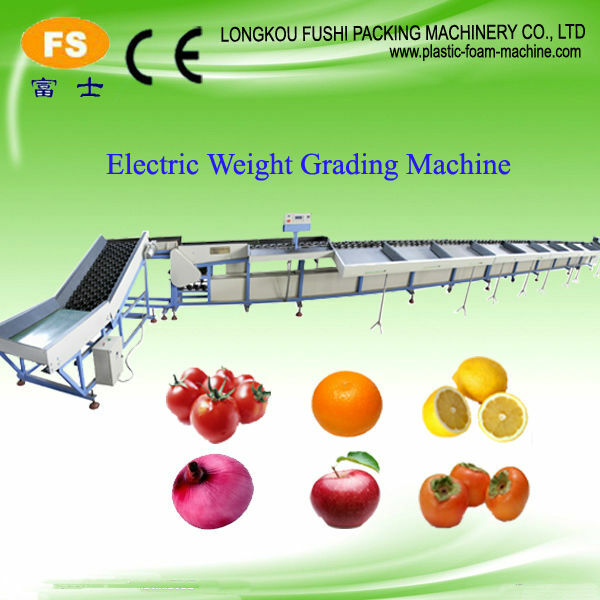 Buy Fushi Brand Tomato and onion grading/ sorting machine. 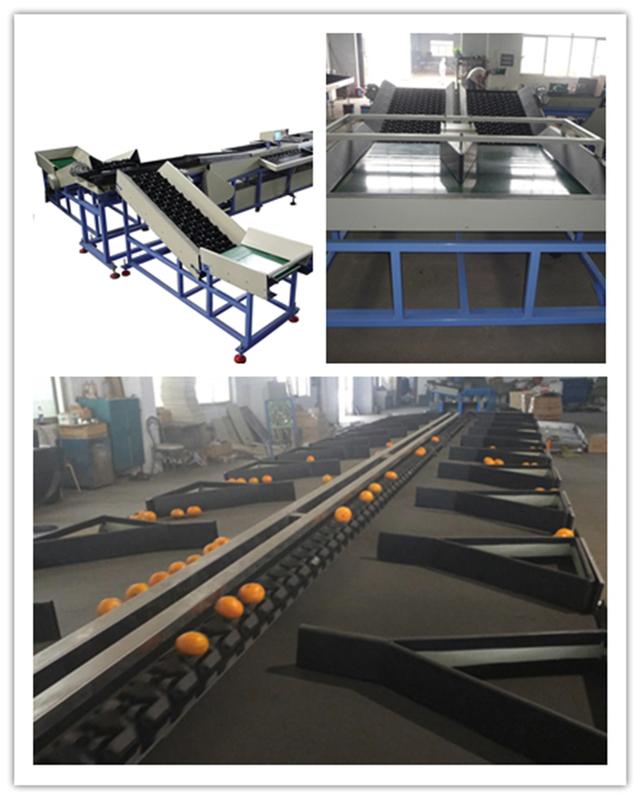 fruit washing and waxing machine - Jinan Joysun Machinery Co., Ltd.
a. for cleaning and waxing fruits, such as apple, citrus, navel orange, honey pomelo etc. b.to make the fruit appearance look bright, and improve the fruit price for sale. At the same time, after waxing, a layer of wax membrane will be coated on the fruit to keep the fruit away from bacteria and elongate the fruit storage time. a.This electronic fruit grader is efficient and precise. It's widely used for grading apples, pears, persimmons,onions,lemons,mangos,pomelo,jujube,and other round fruits. b.It is controlled by PLC, and is highly intelligent. Weighing, logic calculation, counting are integrated. c.Tetrafluoroethylene is covered onto the working surface to keep the machine running stably with low noise and increase the shelf life of the machine. The operation and maintenance of the machine is easy and laborsaving. For cleaning and waxing fruits, such as apple, citrus, navel orange, honey pomelo etc. and elongate the fruit storage time. 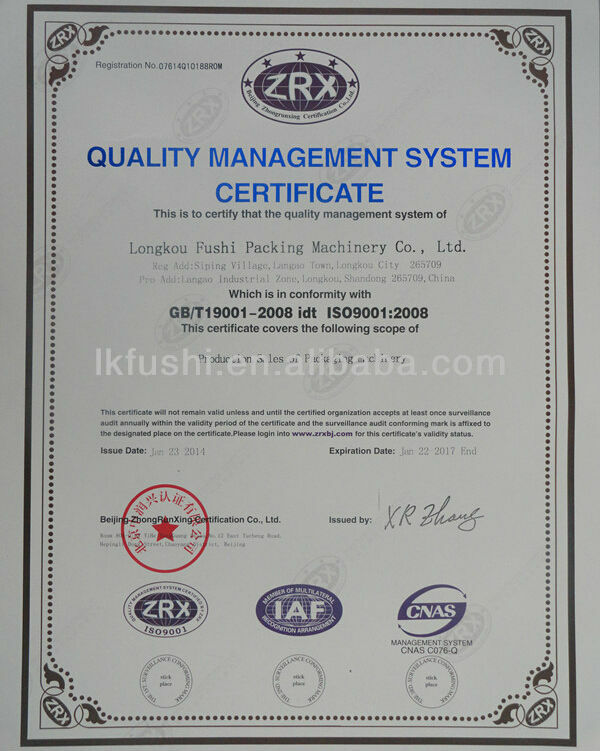 Founded in 1994,Longkou Fushi Packing Machinery Co., Ltd has developed CE certified Plastic Extrusion Machinery, Vacuum Forming Machine, Fruits Cleaning, Waxing&Grading Machine, PS/EPE foam Sheet Extrusion Line, EPE foam Net Extrusion Line, XPS Foam Board Extrusion Line, PE Cap Liner Foam Sheet Extrusion Line, PE/PS Recycling and Pelletizing Line, totally more than 20 kinds of machines, which are widely used in the fields of fruits making&processing, furniture packing, food, medical apparatus&pharmaceutical, electron, arts&crafts, construction industries, etc. We are one of the leading manufacturers of packing materials and related machinery. 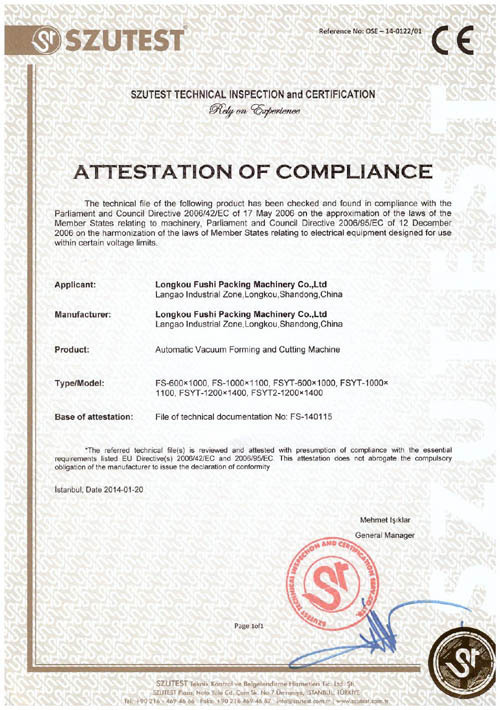 During sixteen years of development, we are highly experienced in machinery manufacturing. With the market share expanding quickly year after year, the sales of our products are progressively increasing. 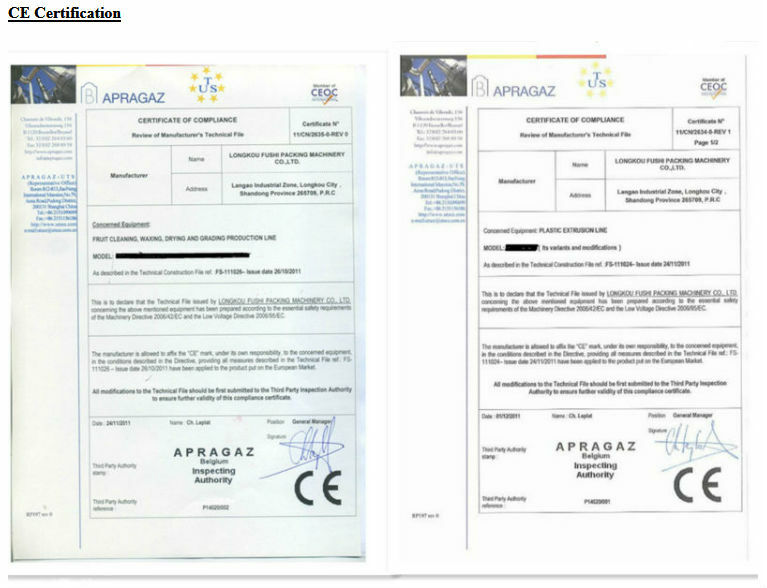 The performance of our machinery is always on the leading place compared with the same products in the market depending on quality and price. Depending on high products quality and excellent after-sales service, our company enjoys great reputation among our customers. The products are selling well in more than 20 provinces in China, and also exported to several countries and districts. Our excellent after-sales service could always guarantee regular technical support to our customers. We are pleased to welcome domestic and overseas friends to visit us and cooperate with us.